Lori Heim practices in the areas of professional liability litigation, commercial litigation, real estate, and creditors' rights. Ms. Heim also has represented professionals in matters involving alleged errors and omissions, state licensing and disciplinary issues, unfair competition matters and other instances of alleged unprofessional conduct. 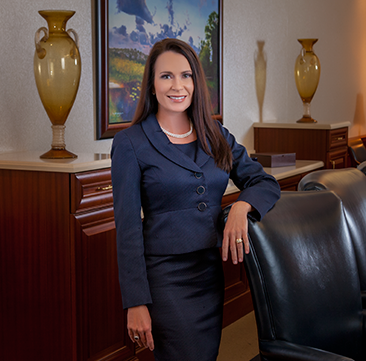 She also represents clients in both residential and commercial real estate transactions and litigation matters. Additionally, Ms. Heim serves as corporate counsel to real estate brokerage agencies and title companies. Ms. Heim has significant experience in the representation of mortgage lenders and servicers in cases involving allegations of mortgage fraud, predatory lending and violation of consumer protection statutes relative to loan origination and servicing. In addition, she represents individuals and corporations in all types of commercial litigation, including unfair competition, misappropriation and other commercial torts in both federal and state courts. Ms. Heim was a title agent for The Attorney's Title Fund for several years. During that time, she personally performed ATIDS title searches, title examinations and issued title policies at law a firm that handled over 100 closings per month. Drawing upon this extensive title examination experience, Ms. Heim represents title insurers and title agents in various types of litigation claims. During law school, Ms. Heim was a member of the Dean's List and a recipient of an American Jurisprudence Award in Evidence. Ms. Heim is originally from St. Petersburg. When she's not working, she enjoys spending time with her family and coaching Little League softball.